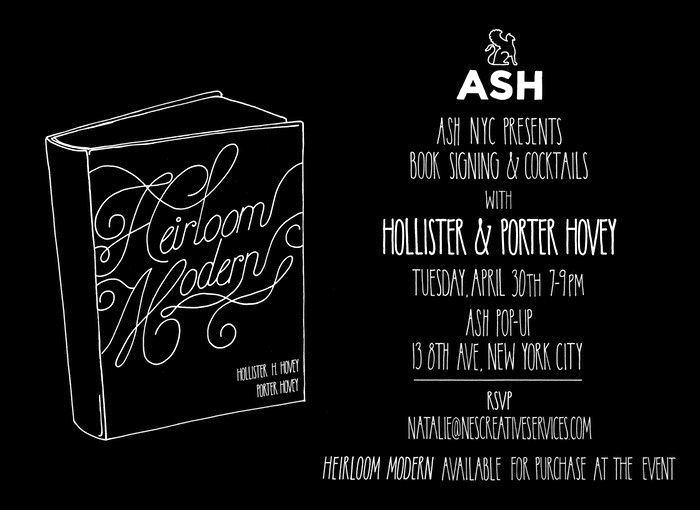 New York Book Signing No. 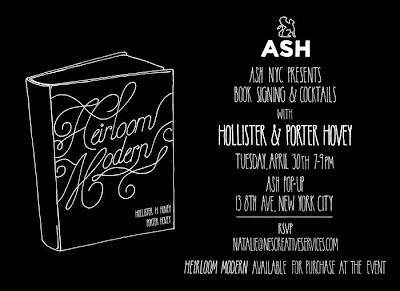 2 at the ASH NYC Pop Up on Tuesday! If you couldn't make it to our signing at Anthropologie, we'd LOVE to see you tomorrow night at the ASH NYC pop up on 8th Ave. between West 12th and Jane Streets. ASH is - by far - our favorite interiors shop in Williamsburg and the pop up is glorious. There's even a wicker motorcycle and a crystal ship chandelier. We'll be there from 7 to 9! Cannot wait! Hollister, I am so excited about your book signing in Kansas City in June!